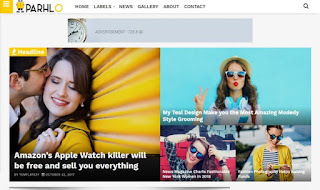 Parhlo Magazine Blogger Template is a Premium Magazine Blogger Template inspired from Wordpress Theme. It is adapted from WordPress theme. It is a multipurpose fully responsive blogspot theme ideal for Blogging, Photography, News, Technology and Portfolio Webportal. It is a first magazine theme that completely work on drag and drop by using HTML5 tags. It display different categories to display your desire content in specific area. A user can display content in random way by using Parhlo. This blogger theme would bring extra beauty in your blogger site. It is designed for latest SEO technique which included, meta tags, latest Schema and much mores.